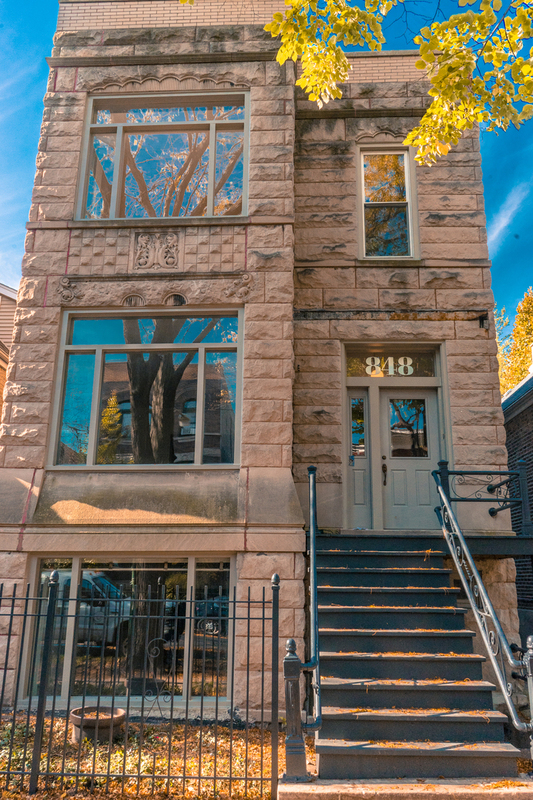 Attention Investors: Looking for a stately, updated & recently refreshed Greystone in the heart of Ukrainian Village? Find it in this extra wide, 3-unit building, sitting atop a 30&apos; wide lot. Enjoy an abundance of natural light from every elevation inside this all-masonry property, situated on a charming and historic tree-lined street. The upper 2 units boast 3 bedrooms each, as well as gracious living, dining and kitchen areas, extra tall ceilings, & generous storage space. On the garden level, find another full-floor unit with 2 bedrooms, separate living, dining & kitchen areas & laundry room. Wood flooring, stainless kitchen appliances, in-unit laundry systems, & gas-forced air are among recent updates to the property. Many charming, original vintage details have been preserved on the interior, keeping aesthetic cohesiveness throughout. Currently, units 1 and 2 are on annual leases through April 2019 & the Garden Unit is a registered & profitable Airbnb. Pride of ownership abounds!